Members of the Artesia Public Schools eighth grade treble choir, ninth grade mixed choir, high school Bella Contate choir, Varsity Chorale and New Horizons Show choir are busy rehearsing for the annual Bulldogs on Revue at 7 p.m. Thursday and Friday, Dec. 10 and 11, at the Artesia High School Auditorium. 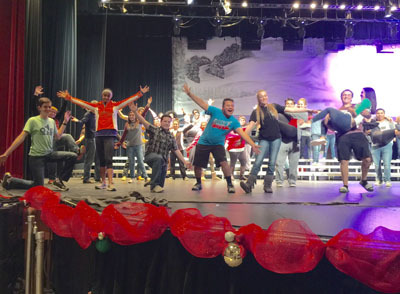 This year’s performance is entitled Winter Wonderland and according to choir director Suzy Parker, it promises to be just that. event, and it’s even going to snow,” Parker said.